Annoying by Netflix app keep crashing or freezing issues on your Android or iOS devices? Here’s how to fix Netflix crashing on Android phone or tablet. 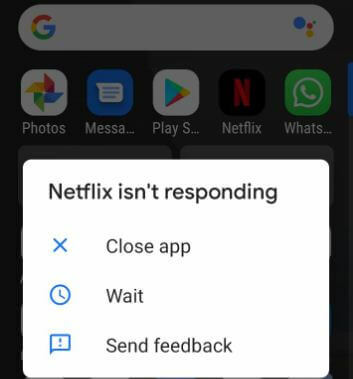 Sometimes while watching movies or TV series on Netflix and suddenly app crashing or freezing issues occurs. Several Netflix users reported this type of issues on different device such as Android, iOS, Blu-ray player, Xbox one, Amazon Fire tablet, Apple TV and more. You’ll facing different Netflix problems sometimes also such as Netflix streaming issues, Netflix movie won’t download, Netflix 4K issues, connectivity issue and other Netflix errors. Check out below given different methods to fix Netflix crashes on Android devices. If the Netflix app suddenly stopped working or closes, you can try to fix using below given possible solutions. First of all long press home button to close app. Open recent apps list and close Netflix app in your device. Now again open Netflix app and check fix issue. Long press the power button and tap restart to reboot your device. This restart android device works for Blue-Ray players, Roku, Apple TV and other devices. Make sure updated with latest firmware on your Linksys RE6500 AC 1200 Wireless Range Extender. Download the latest firmware version for your country. Also check update for Netflix app in your android or iOS devices to fix problem. It will clear app cache you surf related Netflix app in your android or iOS device. If none of the above given solutions fix Netflix app freezing when try to download a TV show or movie in your device. Uninstall the Netflix app and reinstall it again in your Android or iOS devices. After uninstall Netflix app from your android phone or tablet, reinstall again in your device. And that’s all. End the list of possible solutions to fix Netflix crashes on Android device. If you have any kind of trouble, tell us in below comment box. Stay and connect with us for latest updates.